This article was first published in NewsCentral24x7 on March 19, 2019. The year 1995 was truly a turning point in my life. Up till then, I had been studying to be a journalist, looking for a job as a journalist or working as a journalist. It was around this time that the Internet was introduced in India (soon after the invention of the World Wide Web in the West), and I was working with a technology magazine, meeting with some of the best CEOs in the IT sector and learning more and more about the field. It seemed bizarre to most people then but I was truly passionate about everything Internet. On some days, I would go to a friend’s house to use her dial-up connection and spend 18 straight hours glued to the desktop, reading about the Internet or looking up some information on the Internet. While I worked as a journalist for another few years and then as an entrepreneur offering IT services to media houses, I knew there was something else waiting for me. I was amazed every day by how much the Internet had to offer, and I wanted everyone to know about the Internet and be able to use it. With each passing year, this urge was growing stronger, especially with the realisation that India was a poor country not because of financial poverty but because of information poverty as well. And so, my wife and I started Digital Empowerment Foundation from our bedroom in 2002. The idea was simple, take the Internet to the people in rural India and help them access the world of information and opportunities. I was sure that the Internet, and especially the Web, had the power to change the information the ecosystem around the world. And we’ve seen enough examples of the democratisation of information—and subsequently even power in many cases—around the world due to the proliferation of the Internet, the Web and even social media. Through our work, too, we’ve seen overwhelming instances of people accessing the Internet, exploring the Web and transforming their lives. I remember this young girl who had come to one of our digital literacy centres in Uttar Pradesh for her first day of class. She was scared to touch the laptop even on the insistence of the trainer. “What if I get an electric shock? !” she had said. When I visited the village again a few years later and met her, she was all smiles and confidence. She told me that she never even got a chance to complete her high school but she could access the world of information on Google. In Bihar, about 400 women camped at one of our centres from sunrise to sunset for three straight days with their passbooks in hand because a man at the centre had decided to help them match their MGNREGA attendance with the daily wage received in their bank accounts. Any discrepancy that was noticed, was filed as a complaint and sent to the block office. A 62-year-old widow in Jharkhand did not exist according to the government records. A digitally literate woman, equipped with a tablet phone, in her village helped her arrange necessary documents, file an application and submit the papers. For the last two years, she’s been receiving her old age pension as well as widow pension. In Madhya Pradesh, weavers of beautiful silk sarees—that were sold for over Rs. 6000 in the market—barely even got Rs. 300 for putting in days of labour to make the product. It was until they were able to access the Web and see the market prices that they could demand the right wages from their master weavers. In Tamil Nadu, a young orphan girl wants to be an IPS officer like Kiran Bedi. She’s read up so much about her online and almost memorised her biography. She knows general knowledge is important for a role like this, and so she spends 20 minutes every day taking daily news quizzes. 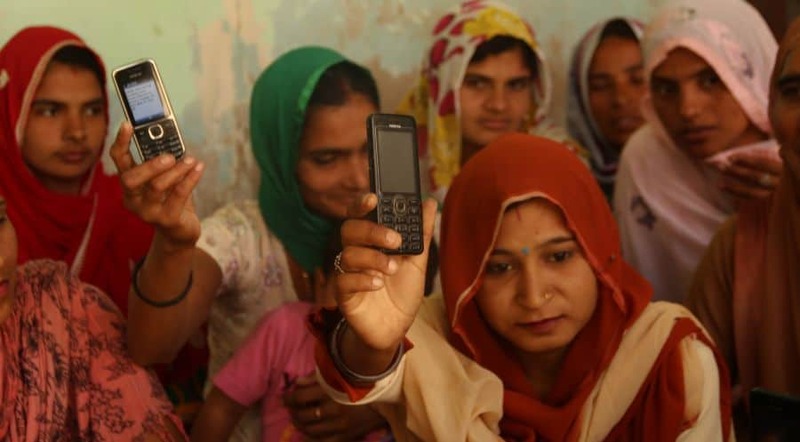 Stories like these are many, and stories like these also showcase the link between technology and women empowerment. As the world celebrated International Women’s Day and 30 years of the World Wide Web this month, I’ve come across such wonderful stories on the Internet in the last two weeks. While some women are overcoming social barriers and fighting patriarchy with the help of the Web, others are finding economic opportunities and a platform for their views. And I truly believe that it is the information-packed mobile phone that will be the end of patriarchy one day.